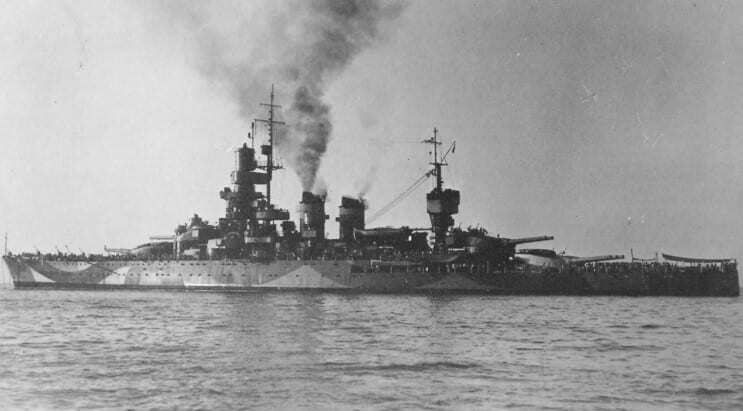 The Duilio class differed from the Conte di Cavour on many points. 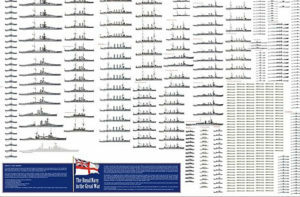 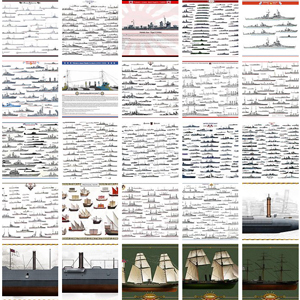 Their silhouette in particular was very different, but their armament, dimensions and tonnage were quite similar. 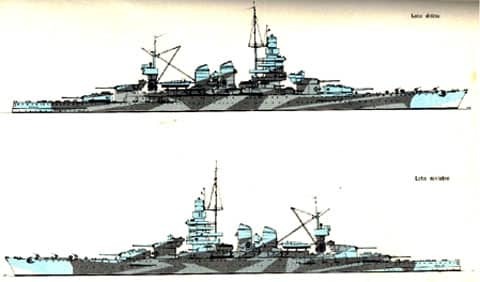 After an active career during the First World War, the two buildings were taken over for a major overhaul in 1937 and 1940. 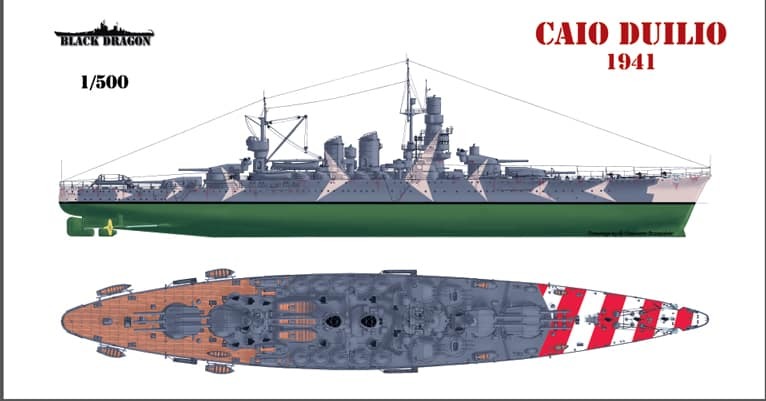 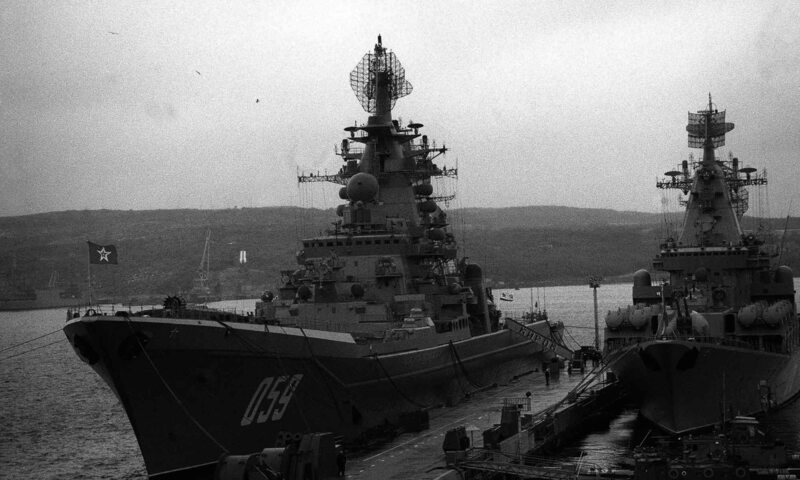 This redesign incorporated the experience of the reconstruction of the previous battleships but also the studies undertaken for the construction of the battleships Rapids of the Litorrio class. 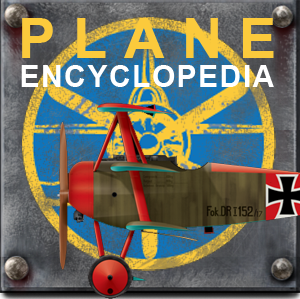 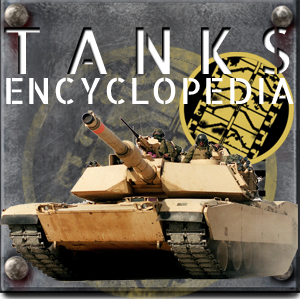 Their engine apparatus was completely modified, their artillery realized and provided with a greater range. 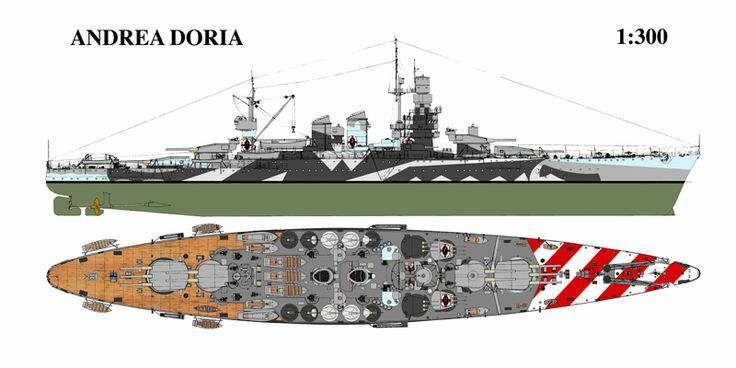 Shortly after its entry into service, the Doria was struck by the torpedo of a swordfish in Taranto and immobilized for months. 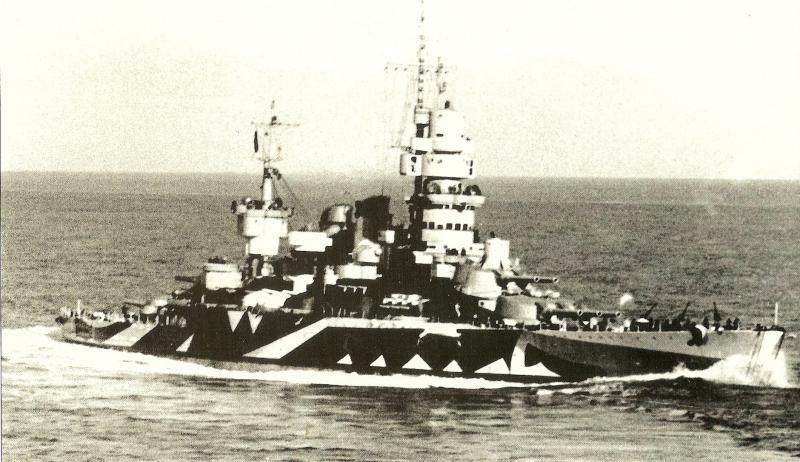 It was eventually bailed out and brought to Genoa for repairs in May 1941, but did not resume service in 1942 at the November 1943 armistice. 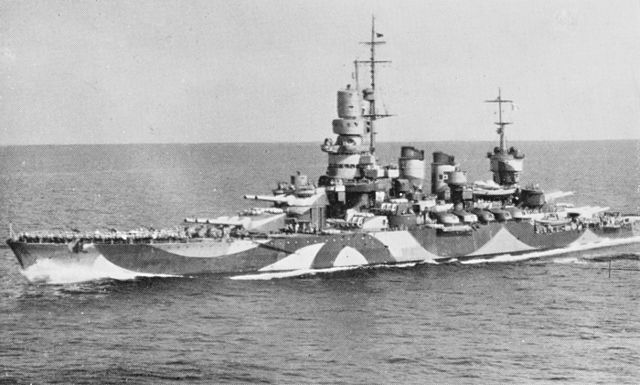 It was modernized, received additional AA artillery and a radar and resumed service with the allies. 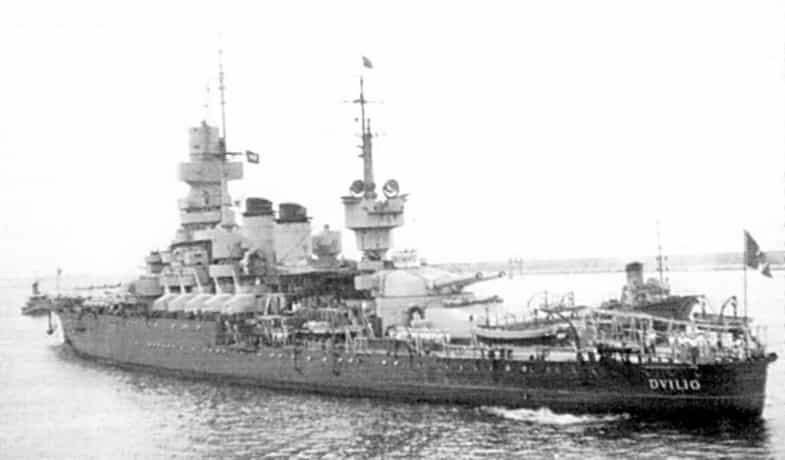 With his sister ship, these two vessels remained in service as a training ship until 1949.